Blue Fusion plans to debut its Rossi 66 at the upcoming SEMA event in November, assuming that the company is able to find the funding it needs to actually produce its first car. So far, all we have to look at are the renderings below, though we can clearly see that the '66 '63 body looks much better grafted onto a modern platform than the '62 does. We'll see if it makes an appearance in Sin City later this year. 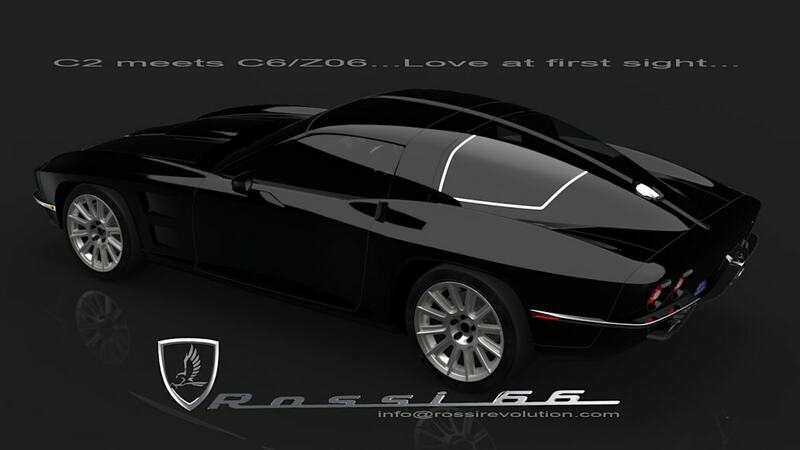 We are pleased to introduce to the Corvette enthusiasts of the world, the new Rossi 66. Taking the most graceful lines of the 1966 C2 split window Corvette, we have crafted an entirely new body designed and engineered specifically for the current C6/Z06/ZR1 platform. We believe the result speaks for itself! 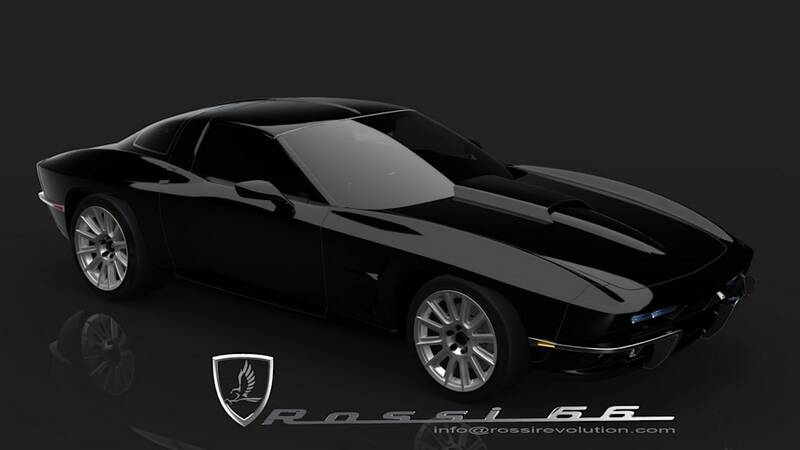 The Rossi 66 was entirely designed and engineered digitally and is the culmination of nearly 100 years of combined experience amongst three of the most experienced automotive designer, sculptor, and engineer in the business. Emphasis added...this is NOT a kit car! The Rossi 66 will be built to order from a new C6, a C6/Z06/ZR1 or a customer supplied C6 donor chassis to be transformed in our own facilities. The initial offering is a three door coupe with a fully functioning convertible to be developed in the near future. Along with those two variants, there will also be various stages of Sport and Competition versions up to and including a GT2 class type for full on-track racing applications. As we all know, the substantial capabilities of the C6 chassis and the vast respective tuning suppliers will allow infinite possibilities for a broad range of customer tastes. Partnership with these existing C6 tuners may be negotiated in the future. Also offered from Rossi will be custom designed one-piece/multi-piece light weight Rossi forged wheels, Rossi big brake kits, Rossi custom exhaust system, Rossi appointed interior trims and seating along with many other custom accessories designed specifically for this brand. The parent corporation, Blue Fusion, has been a Tier One surfacing supplier for Ford Motor Company for over 15 years and is both ISO9001 and Ford Q1 certified (higher than ISO rating scale). Production tolerances will be of the highest in the automotive industry. This includes Class-A surfacing and the fit and finish will be competitive with the best of modern production releases. Our debut target is to introduce a full running production vehicle to be displayed at SEMA 2008 (investment capitol dependent). The design is near completion and tooling is set to begin next month in September. Investment opportunities are available so if this of interest to someone you know, please don't hesitate to spread the news. The Rossi 66 is available for orders as of today! For more information regarding either Blue Fusion or the Rossi 66 and it's pricing, please contact David R. Robison at davidr@fusion2k.com.